Damango has been chosen as the capital for the newly created Savannah Region, President Nana Akufo-Addo has announced. Speaking at a ceremony to present the Constitutional Instrument (CI) for the creation of the region and the signing of the attestation, the president said the creation is as a result of twenty-three (23) years of agitations, pleas and petitions made by successive Yagbonwuras, Members of Parliament, the Gonjaland Youth Association, amongst others, to successive governments for the creation of region, no avail. 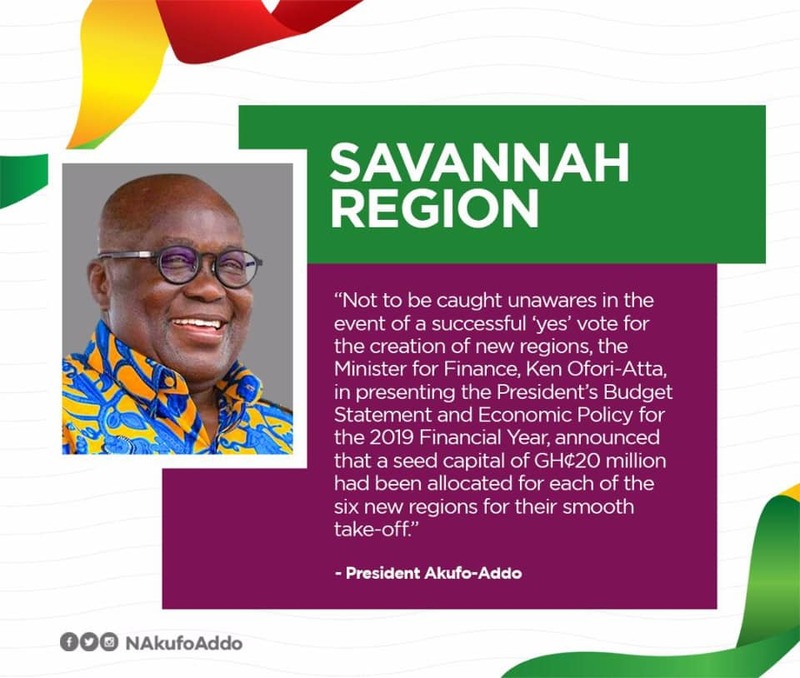 The president described the Savannah Region as the least developed part of the Northern region. He reiterated the plan by government to allocate GHc20 million for each of the six new regions.